July 1863 saw significant Union victories at Gettysburg, Vicksburg, and Cabin Creek that made the careers of George G. Meade, Ulysses S. Grant, and James M. Williams. Never heard of the battle of Cabin Creek? That's probably because it was fought by just a few thousand Federals and Confederates on the banks of a muddy stream near the Grand River in northeastern Indian Territory (now Oklahoma). Never heard of James M. Williams? Read Robert W. Lull's assiduously researched, energetically written biography and learn about the trail-blazing Union commander of the First Kansas Colored Volunteer Infantry serving in the Trans-Mississippi. After Kansas was admitted to the Union, Lane, now a U.S. Senator, advocated using African Americans and Indians as soldiers. He liberally interpreted the Militia Act of July 1862 as authorizing just that and sent Williams around the state to recruit black men, most of them former slaves, into Kansas state regiments. 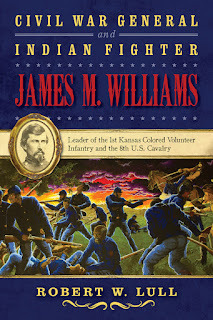 Lane rewarded Williams' efforts by making him commander of the First Kansas Colored Volunteer Infantry. The Civil War west of the Mississippi River was, for the most part, a continuation of the guerrilla warfare practiced between 1856-1861: quick-hitting, savage, and often personal. On October 29, 1862, the First Kansas got its baptism of fire before it was officially mustered into Federal service in a tall grass prairie field on the Toothman farm near the Marais des Cygnes River. The regiment suffered eight dead and eleven wounded. Later, a larger engagement at Island Mound, the men Williams had trained proved their worth in battle. According to Lull, they “functioned as a team, maneuvered professionally, and responded quickly to orders.” Island Mound was a Union victory, the first for a black regiment against organized Confederate troops. The regiment would fight at Honey Springs in the Indian Territory, Poison Spring in Arkansas, and numerous skirmishes rarely found in history books. When the war ended, Williams commanded six regiments of United States Colored Troops brigaded together as part of the VII Corps before mustering out in October 1865. The end of the Civil War did not end the military career of James M. Williams. 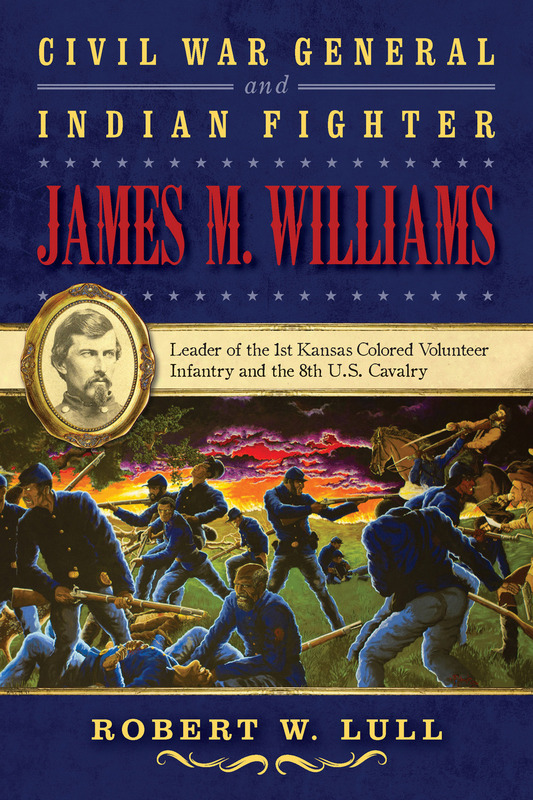 Commissioned a captain in the Eighth U.S. Cavalry, Williams went west to fight Indians. Lull points out that about 600 men “were responsible for national security and civil protection over an area of 558,069 untracked square miles of what would become six different states.” After being severely wounded, Williams began his third career as a successful Colorado rancher until he died in 1907. Lull's book is important because it highlights the importance of African American troops in the Trans-Mississippi, a region still insufficiently studied by historians of the Civil War.